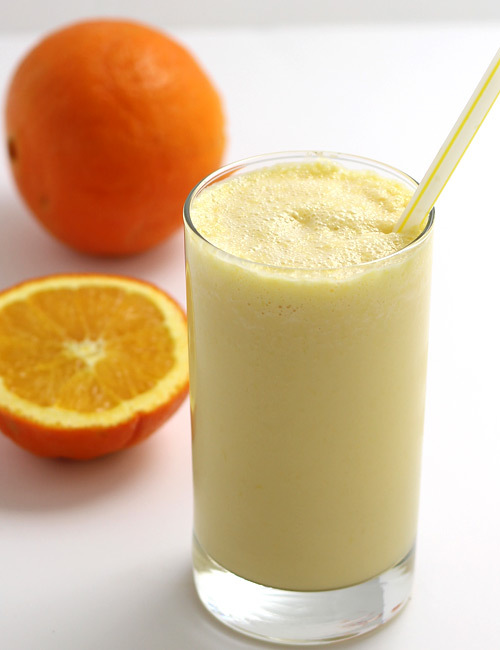 There is no other better way to cool in summer than having glass of zesty Orange Shake. 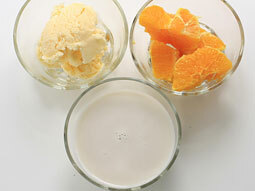 This shake recipe combines nutrients rich fresh orange and protein rich almond milk with ice cream to make nutrient rich fresh fruit milkshake. Cut the orange into halves and remove seeds. Peel and dice into large pieces. We have used “Silk” brand brand unsweetened almond milk in this recipe but you can use any non-dairy milk in this recipe. 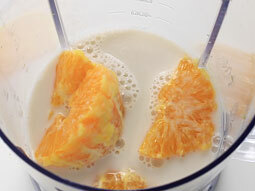 Add almond milk and diced orange in a blender jar. Blend until smooth texture. Add vanilla ice cream. 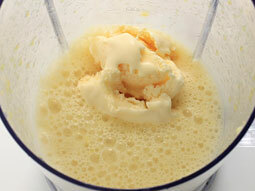 Again, blend until creamy and smooth. Orange Shake is ready for serving. Serve it immediately. Serve the shake immediately for better taste as it turns bitter and starts to separate as time goes. Use only non-dairy milk (like almond milk, soy milk, rice milk etc.) in this recipe. 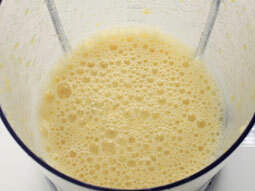 Add 1/2 banana to make orange thick shake. 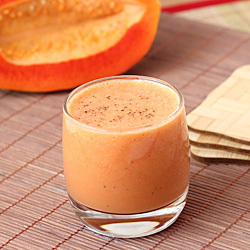 Serving Ideas: Serve orange shake either as a dessert or as a breakfast drink. It is a perfect beverage to enjoy in the evening during hot summer days.